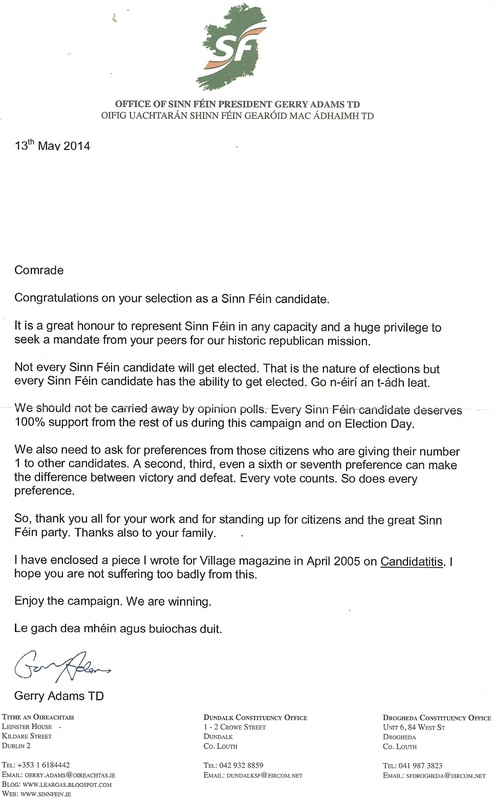 A Letter with an accompanying article from Gerry Adams to a Sinn Fein 2014 Local Elections Candidate. The article first appeared in Village magazine in 2005 and is on “Candidatitis”. The September 1983 edition of the Ulster Defence Association newsletter ‘Ulster’ which is in uploaded in pdf form. Among the items covered are Anti Segregation protests, threats to criminals from the UDA, plenty of small pieces about Gerry Adams and Cardinal O’Fiach, a piece on Rose Harvey and Dominic McGlinchey. 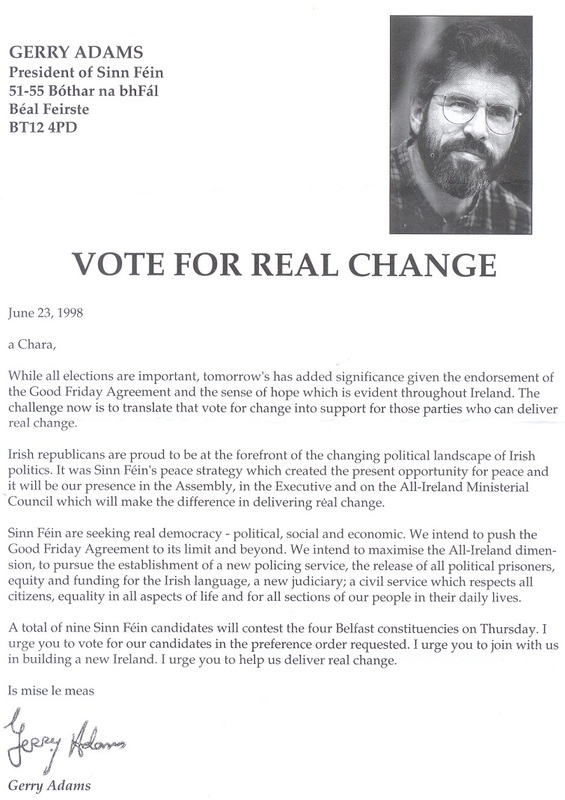 From the 1998 Assembly Elections campaign a letter to Belfast voters from Sinn Fein leader Gerry Adams. 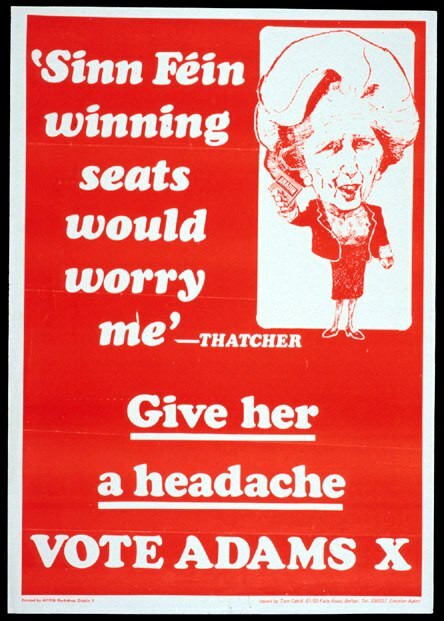 From , I think, the 1983 Westminster Elections a Sinn Fein poster for Gerry Adams running in West Belfast. 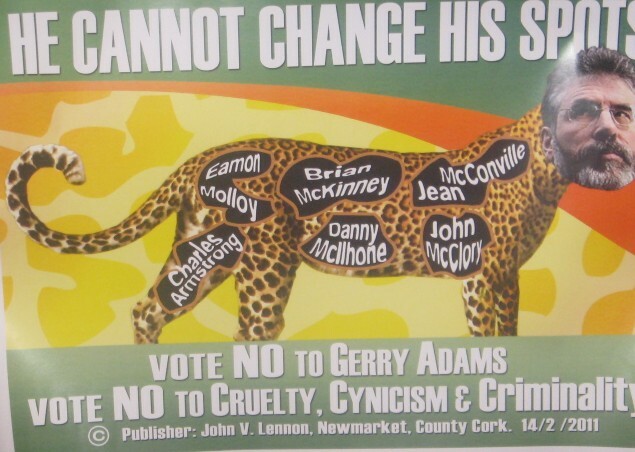 From the 2011 General Election campaign a leaflet from Sinn Fein leader Gerry Adams who is running in Louth. and public speaking, He was involved in campaigning for Michael D.
debate in question by over 300 votes to 5. First off many thanks to the sender. 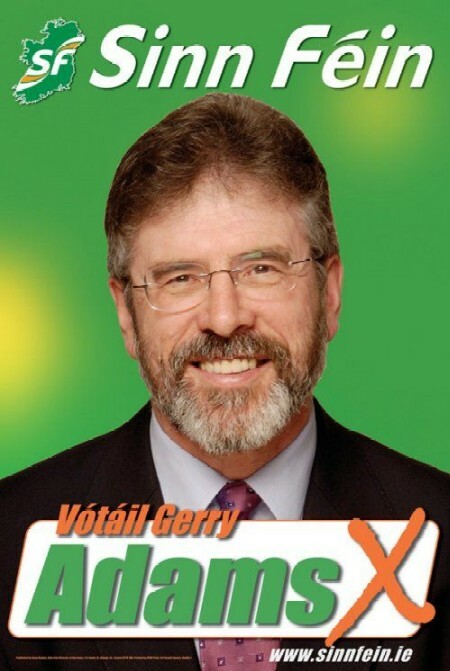 From the 2005 Westminster Elections a flyer for Sinn Fein leader Gerry Adams running in West Belfast. Adams topped the poll with over 70% of the vote.